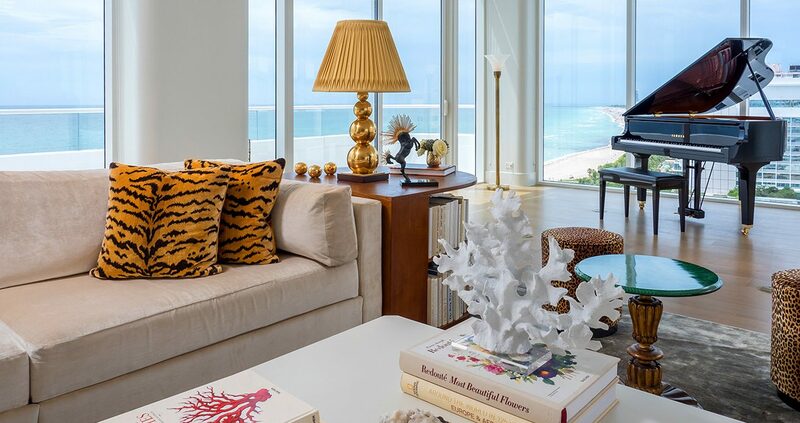 Showcasing panoramic turquoise ocean views through floor to ceiling windows, the impressive Penthouse Suite is designed for harmonious indoor/outdoor residential living. 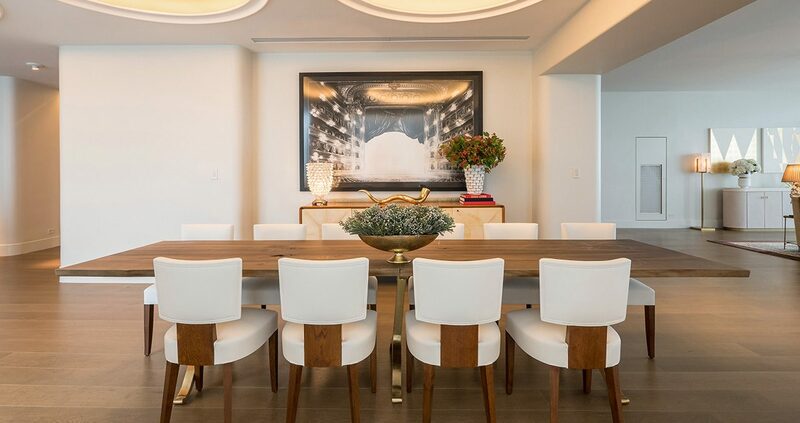 The suite features two levels of spacious gathering areas and dining rooms that are ideal for entertaining. 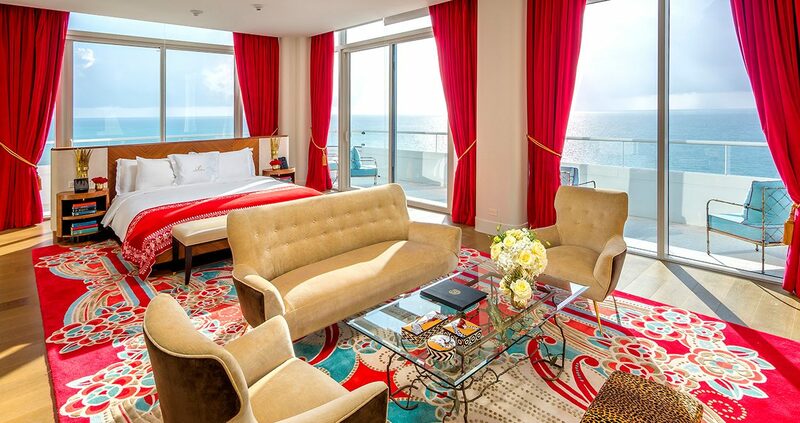 The suite’s gracious five bedrooms each have furnished balconies to enjoy sunrise to sunset views. 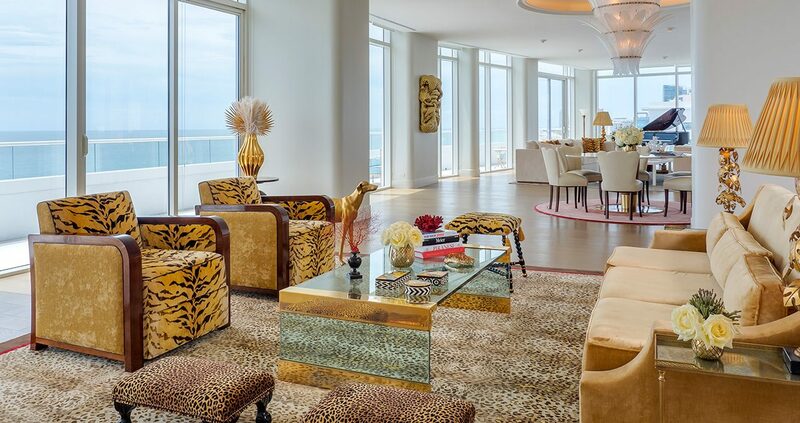 The suite’s elegant design and custom furnishings by Frank Pollaro offers light colors of ivory and beige with gold and black accents that highlight the vibrant colors of the Atlantic. 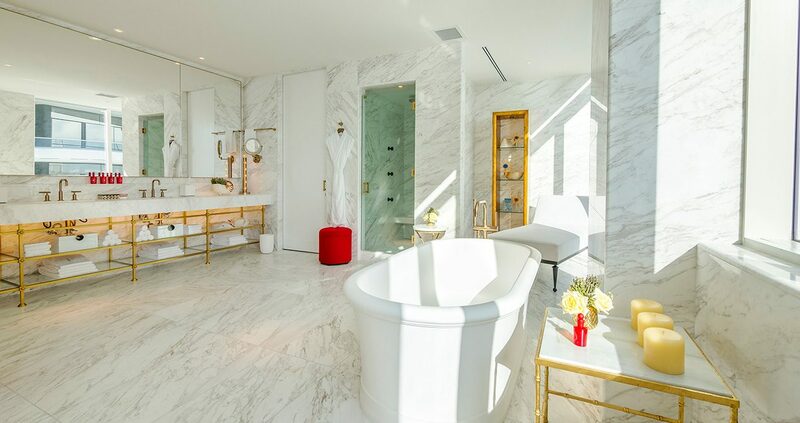 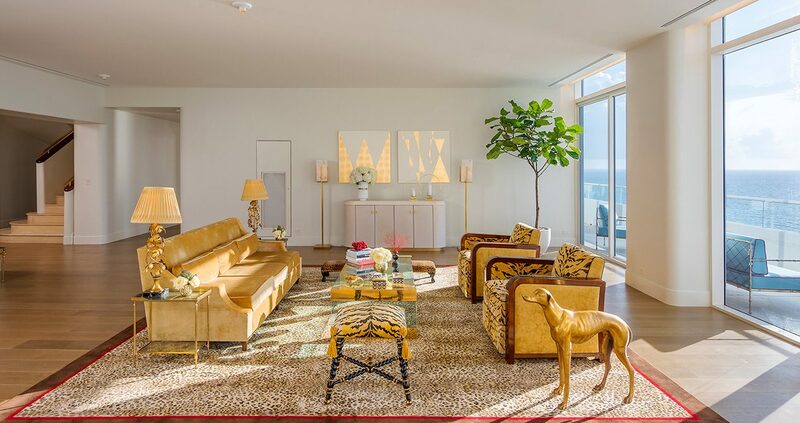 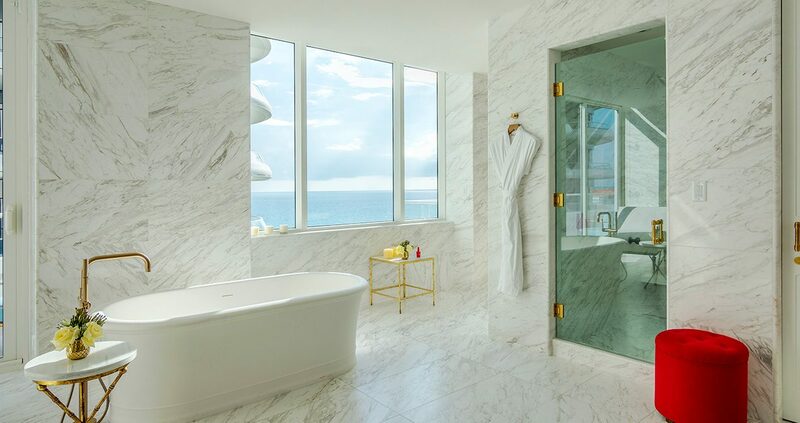 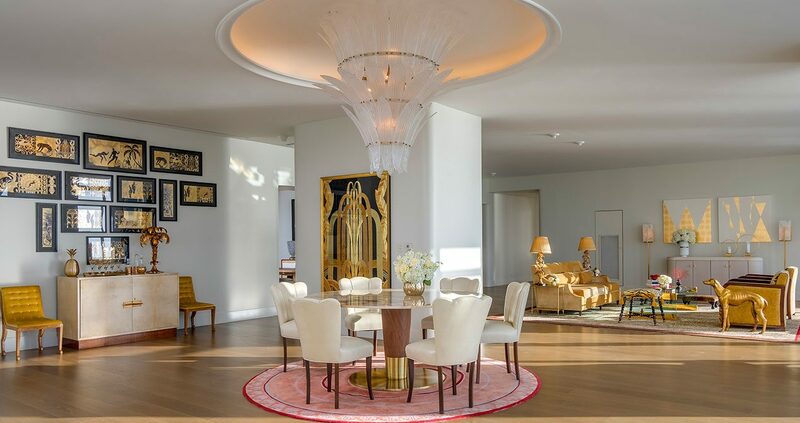 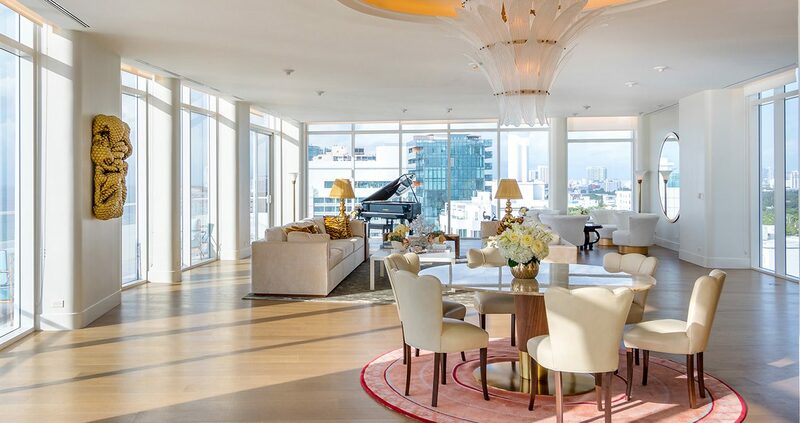 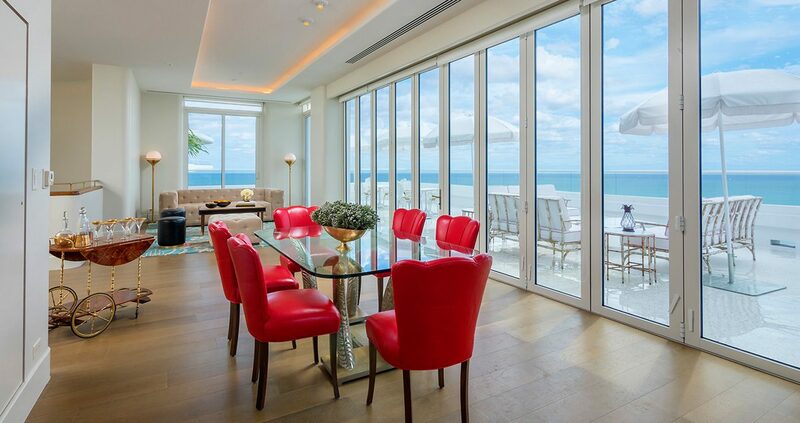 "From the magnificent interiors, art displays, luxurious accommodations, and personalized touches and breathtaking oceanfront views, this Penthouse is only a one representation of Faena District"